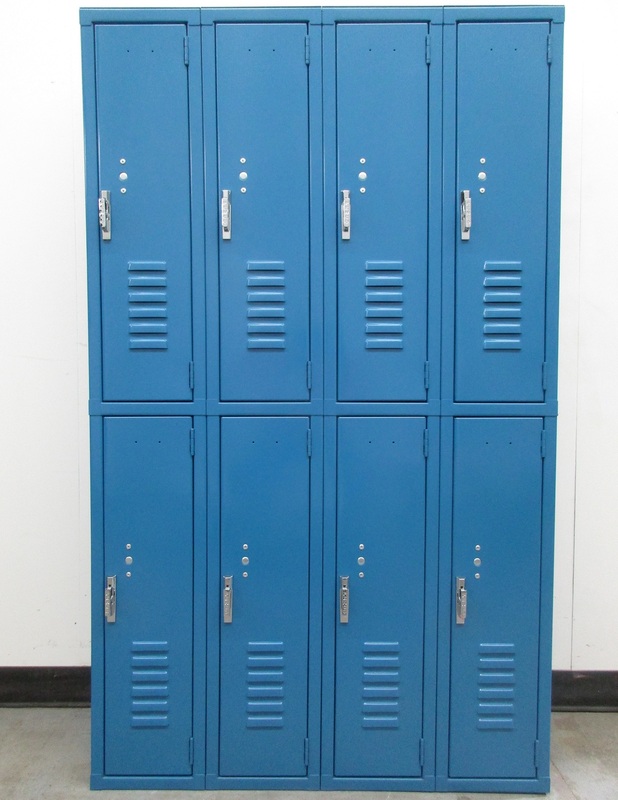 These Skinny Lockers are available on www.buyusedlockers.com where they have a huge selection to choose from if we need additional supplies. 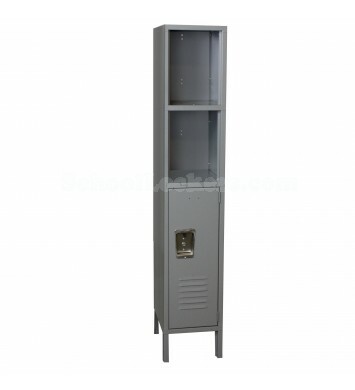 These two-tier skinny lockers are 9 inches wide and 12 inches deep. 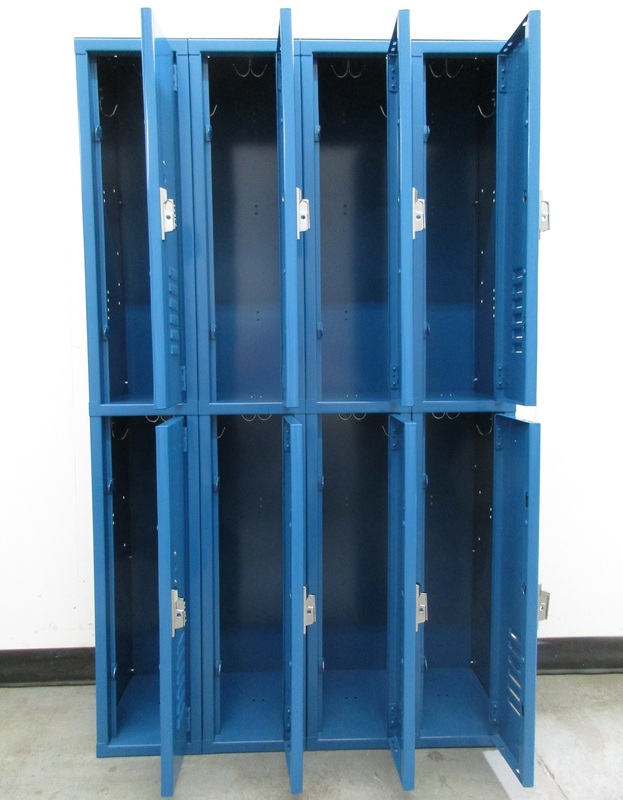 Each compartment is 30 inches tall, so the lockers are 60 inches tall overall. 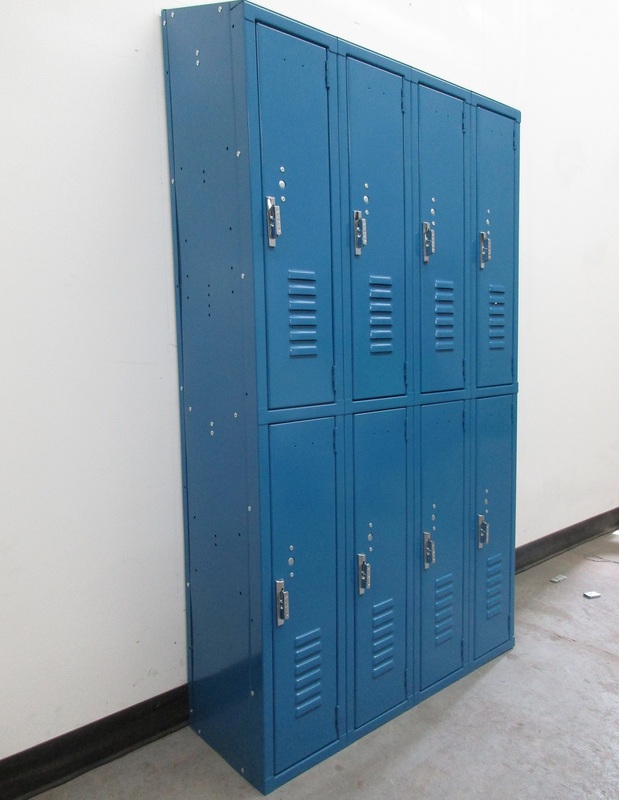 We also have optional sloped tops available for these lockers. The doors latch automatically and the polished, protruding handles can be used either with or without a padlock. 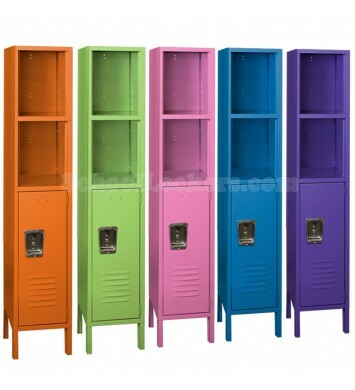 These small lockers will give you a lot of storage in a small space. Each compartment has several coat hooks, making them ideal for securely storing jackets or work clothes.